Awwww. Can I have one? There is nothing like sweet kittens! 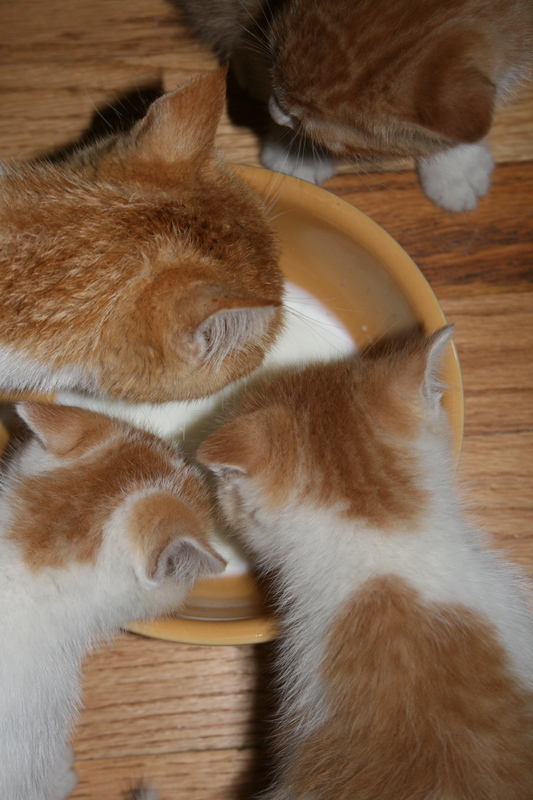 Ah, sweet, and you’re bringing back sweet memories of kittens on the farm for me. We just spruced up their Winter house with fresh straw today! I cleaned out a birdhouse this week, and is was inhabited with 3 little mice! Yuk–had to to call in the kitty squad! Kitties are just the cutest! We are actually looking to bring a new kitten home. Just one of these cuties would be lovely. These were so cute, they were easy to find homes for! I’ll admit I’m not a cat person, but they are so cute!